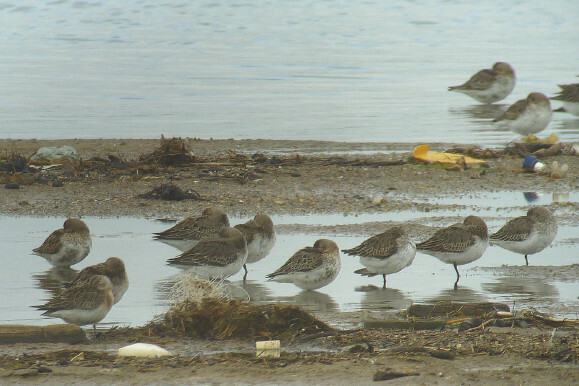 Dunlins are our most abundant small wading bird. They are found along the coast and on estuaries in winter: sometimes in their thousands as on the Mersey. Its winter plumage is mainly grey above and white below, the distinctive black belly often shown in books, is their summer plumage. The flanks are usually marked black and juveniles are often browner with white “V”-shapes on their backs. It has a slightly down-curved bill which is black as are the legs. 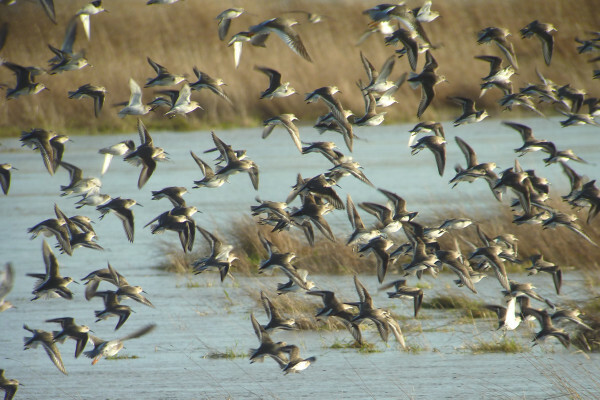 They show a distinctive white wing-bar when flying. There is a lot of variation in size due partly to the females being larger than the males and also because the different races vary in size. C.a.schinzi from Iceland/ UK ’’’’ April/May Return July/Sept. C.a.alpina from Scandanavia and east into Russia Feb/May Return October & large numbers Winter here. 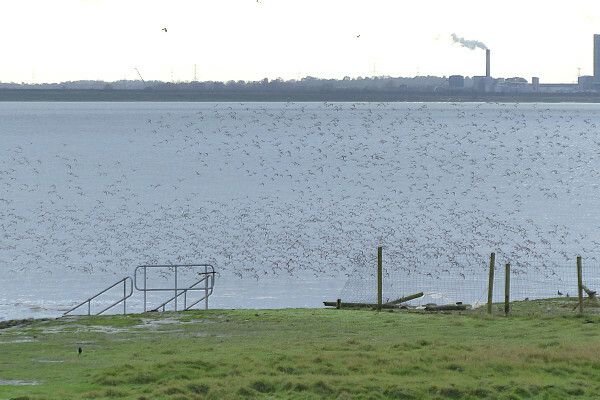 Over the last few years the Mersey Estuary has held the largest wintering flock in UK of race C.a. alpine, with upwards of 40,000 birds. 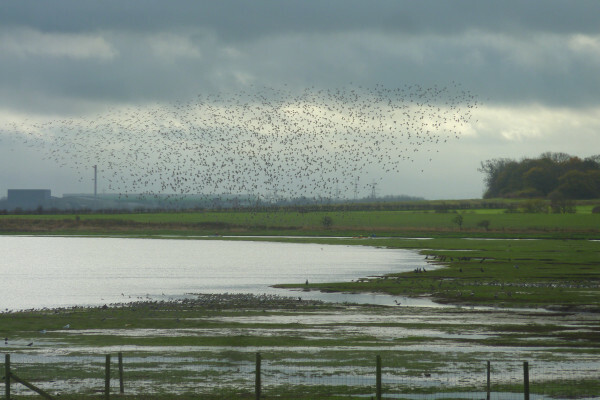 In very cold weather some birds move further South. 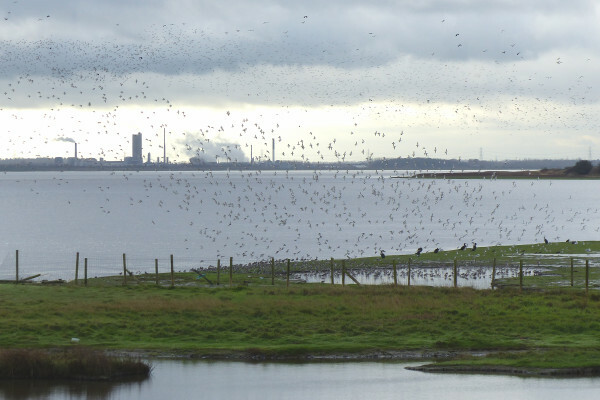 They start to depart from the Mersey in late February/March though birds are present through to May when they can be mixed up with other races.